with her song of why? i love this piece, it speaks to me. iv listened to it 10 times now. keep it up!! Oh I love your words and the feelings that rise as i read them. i will never forget your workshops and your grace filled encouragement. Thank you, Toni. 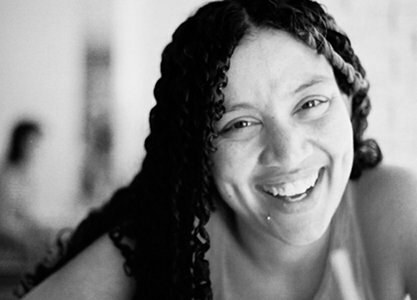 Toni Stuart is a poetry writer, performer and developer. Her poetry has been published in numerous anthologies including The Ground’s Ear (Quickfox Publishing, 2011) and Agenda Journal on Teenage Fertility and Desire (Unisa Press and Routledge, 2011). As a performer she was part of And the Word Was Woman Ensemble, from 2004 – 2007, with Malika Ndlovu and the 2010 Ingrid Jonker Prize winner Tania van Schalkwyk among others. She has performed locally and internationally, at numerous events including Urban Voices International Poetry Festival in 2010, Bridgewater International Poetry Festival in 2013, and alongside UK poet Lemn Sissay in 2012. Her work uses poetry to interrogate a range of social issues such as the stories of place and displacement (The Calllings Performance as part of GIPCA’ Exuberance Project, Emancipation Day Commemoration at Reminiscence Theatre Festival), HIV/Aids (commission of Breath and Blood for University of Cape Town) and gender-based violence (Woman.Object.Corpse exhibition for Centre for African Studies, UCT). She is the curator of Poetica, at Open Book Festival 2013 and runs The Silence That Words Come From – writing workshops that enable people to explore their own voice. In 2013, she was named in the Mail and Guardian’s list of 200 Inspiring Young South Africans for her work in co-founding I Am Somebody! – an NGO that uses storytelling and youth development to build integrated communities.